This entry was posted on September 8, 2015 at 5:39 pm	and is filed under "Recipes", Food. 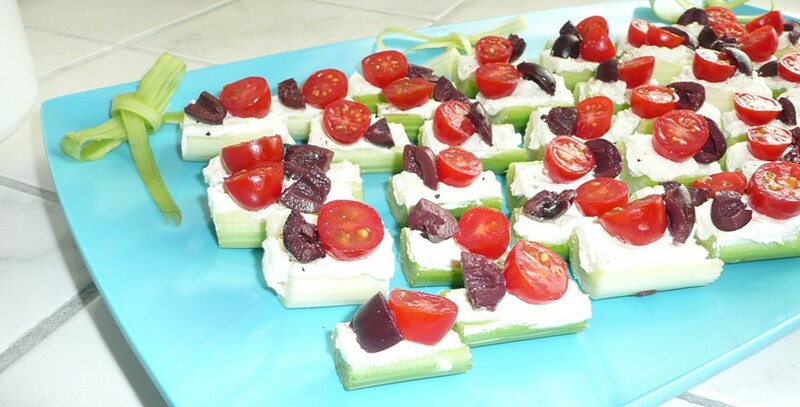 Tagged: appetizers, feta cheese, Greece, Greek Salad, Hors d'oeuvre, kalamata olives, potlucks, stuffed celery, The Little Kitchen. You can follow any responses to this entry through the RSS 2.0 feed. You can leave a response, or trackback from your own site. Celery is one of those foods I will not eat. I distinctly remember a “cooking” activity in preschool where we learned to use a knife and cut celery and filled them with peanut butter and raisins and then dipped into ranch dressing. 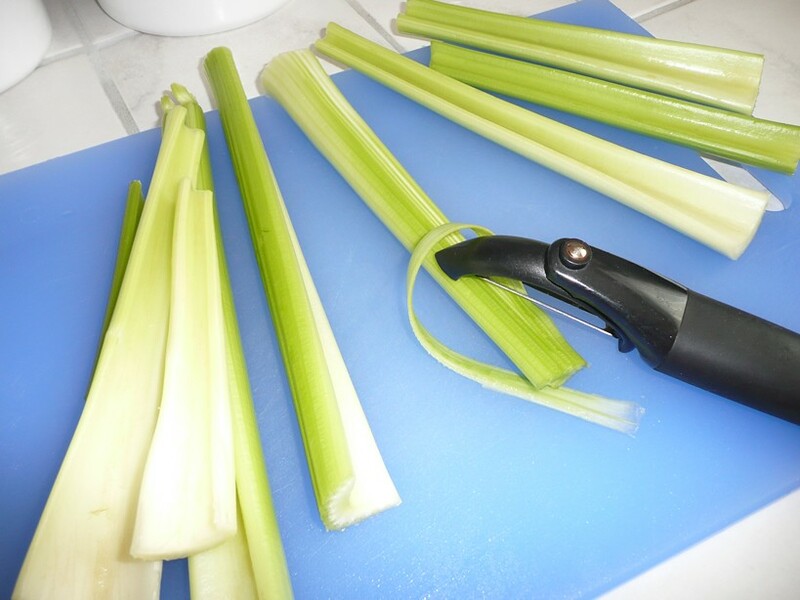 At that young age, I discovered I really really do not care for celery. To this day, I won’t eat it. I’ve tried it here and there just to make sure but yup, can’t do it. To your question, my son loves olives. Looooooves them. Asks for them as special treats/dessert. Weird, huh? Love the bows, that’s an adorable idea! I will not eat celery either. EWWWW. Peanut butter and ranch dressing? Are you sure you didn’t have a choice of peanut butter OR ranch dressing? I like celery soup, like cream of celery, but I don’t like celery. I don’t like it in things or by itself. Just yuck! Yay loving olives. Do he like the greek ones? Often times they are too salty for children. Thanks, I was proud of my celery ribbon bows! Whew. I thought they were trying to torture you in school. Ha, ha, ha. I forget about peanut butter and raisins . . . ants on a log . . . ha, ha, ha. I don’t like celery . . . not a fan of raisins either. I bet your boy has your taste for the out of the ordinary type of foods!